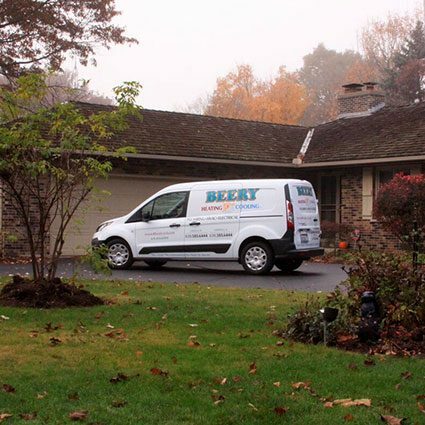 Family-owned and -operated since 1980, Beery Heating and Cooling provides full-service heating, cooling, plumbing and electrical work for homes in Wheaton, IL. We also specialize in commercial service for Wheaton. As crafters of indoor air environments, we create heating and cooling systems as distinctive to your spaces as your choices of décor. To achieve this, we carefully profile your preferences and your home’s different zones to establish a clear idea of what your system will need to achieve. Next, we review your options with you, including how you could approach aspects such as temperature control, humidification and indoor-air purification. We then install energy-efficient equipment built to deliver years of reliable performance. Heating and cooling technology is always evolving, so it’s smart to consult with professionals who are current with industry science. Those same professionals can match the right equipment and systems to your home’s distinctive spaces. Beery Heating and Cooling installs, repairs and maintains furnace/boiler and air-conditioning units for Wheaton homes. We serve new construction, remodel and upgrade projects alike. Our team includes the right range of specialists for optimal heating and cooling at home. We’re prepared for emergencies too. A problem with your furnace, boiler or air conditioner can arise at any time, so we remain available for service 24 hours a day, seven days a week. We’ll guarantee your satisfaction with our solution as well. As our Wheaton customer, you can also sign up for our Planned Maintenance Program after our initial service visit. This special contract gives you access to same-day service, no extra charge for after-hours appointments and preferred pricing for Beery heating and cooling services. We’d be glad to find out more about the heating and cooling you need. Call (630) 585-6444 today for more details about our furnace/boiler and air-conditioning installation, repair and replacement for Wheaton. We can also assist you with air-conditioning cleaning! Beery Heating and Cooling’s service to Wheaton includes more than specialized service for furnace/boiler and air-conditioning systems. We also offer you expertise in plumbing and electrical work for your home. Whether your plumbing needs repair, remodeling or routine maintenance, we have the technicians and equipment for keeping your system fully operational. Just a few of our services include, among many others, new-construction plumbing, backflow testing and installation of water heaters and water-saving faucets and toilets. Our efficiency extends to repair, maintenance and replacement of electrical systems as well. From control wiring to panel upgrades, our trained and certified technicians can help ensure your home’s electrical equipment lasts longer and runs more efficiently. The ultimate benefits for you are lower energy consumption and fewer costly repairs. Call (630) 585-6444 today to speak with a Beery representative about our plumbing and electrical service for Wheaton. Beery Heating and Cooling offers complete solutions for Wheaton commercial heating, cooling, plumbing and electrical systems. Whenever your business needs repair, maintenance or replacement, our experts can serve you with speed and skill. Contact us at (630) 585-6444 to further discuss our commercial services for Wheaton.